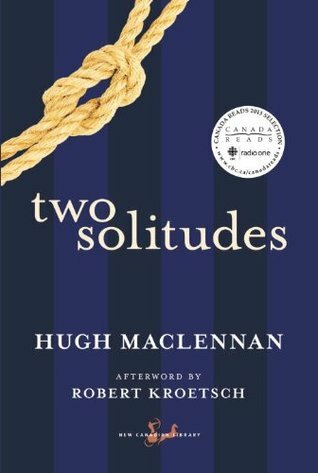 A lot can be said about Two Solitudes by Hugh MacLennan, but no matter what one’s interpretation of the novel may be, the 1945 winner of the Governor-General’s Award is inarguably one of the most important novels in Canadian literary history and an undeniable classic. This novel was resurrected into the public consciousness with its inclusion in the 2013 Canada Reads debates, where it was the runner-up. As a dedicated student, collector, promotor, and all-around fan of Canadian literature, I am almost ashamed to admit that this is my first time reading this great book. This is a big book, both in size and scope. It is a multigenerational coming-of-age story that spans from the end of World War I to the start of World War II against the backdrop of the identity struggles and politics of Quebec during the inter-war years. There is also a great deal of commentary on Canadian literature and many autobiographical elements weaved into the novel. Of all the threads that could be tugged on with this novel, the one that fascinated me the most was the death of the rural parish – the urbanization of Quebec society. The first section of the book, with Athanase Tallard as the central character, is an excellent example of pre-Quiet Revolution Quebec; the clergy were almost supreme rulers of their parish, religion and language were everything, and political beliefs were absolute. As WWI wound down though, this rural way of life was changing; English people were moving in, some in the population were questioning the authority of the church, and industry is beginning to be established in the rural parishes. 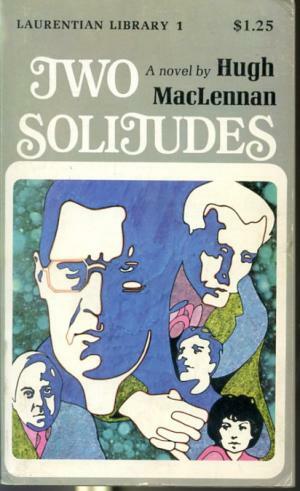 I would also argue that MacLennan’s novel marks the death of the traditional Quebec Roman du Terroir. The final section of the book is also rife with autobiographical details and allusions to other modernist English and American literature. Paul Tallard’s decision to write about Canada almost directly mimics MacLennan’s own development as a writer. Paul’s development as a writer also has overtones of Joyce’s A Portrait of the Artist as a Young Man. The ideological missives throughout the last quarter of the novel are reminiscent of Upton Sinclair’s The Jungle. MacLennan deftly shows that he is a writer’s writer. What will stick with me most about Two Solitudes is that it is the story of generational change. It is cliché to say this, but this novel is just as relevant today as it ever was. Paul Tallard, born at the turn of the 20th century, came of age in the shadow World War I, entered adulthood during the Great Depression, and then finds himself by enlisting for World War II. I look at the story of people my age: I started university 3 weeks before the September 11 attacks, came into adulthood with the Afghanistan War in full swing and under the shadow the American war in Iraq, and I started my career in earnest at the height of the Great Recession. A person’s world views and ideology can’t help but be heavily influenced by such events. Past is prologue and history is cyclical; it would be hard for someone my age (mid-30s) to read this novel and not see the parallels between the treatment of Paul Tallard’s generation (the G.I. generation) by his elders and the flack my much-maligned Millennial cohort receives from the Baby Boomer generation. 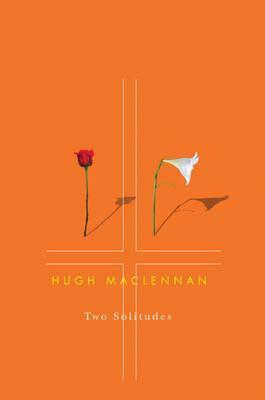 Hugh MacLennan is such an important writer: five-time GG winner, author of other classics like Barometer Rising, Each Man’s Son, The Precipice, and The Watch that Ends the Night. Unfortunately, so many of his works are either out of print or in between editions (Barometer Rising for instance is transitioning from its NCL edition to a Penguin Modern Classics edition). 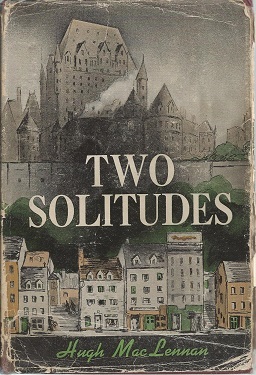 Two Solitudes is one of those titles currently out of print, as bizarre as that is to believe. 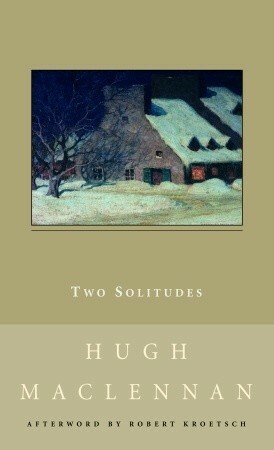 The title has been around in various editions over the years but was added to the New Canadian Library in 2003 (afterword by Robert Kroetsch), under series five, and was later re-issued under the fancier series six cover, which was the edition used in Canada Reads 2013. Fortunately, McGill-Queen’s University Press will be releasing a new quality re-issue in June 2018. Find a copy and add it to your bookshelf.